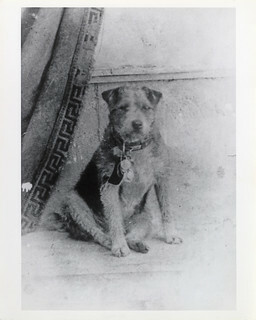 Description: Owney was a stray dog who wandered into the Albany, New York, post office in 1888. The clerks let him stay the night, and he fell asleep on a pile of empty mailbags. Owney was attracted to the texture or scent of the mailbags and began to follow them, first onto mail wagons and then onto mail trains. Owney began to ride with the bags on Railway Post Office (RPO) train cars across the state, and then the country. The RPO clerks adopted Owney as their unofficial mascot, marking his travels by placing medals and tags from his stops on his collar. View more collections from the Smithsonian Institution.